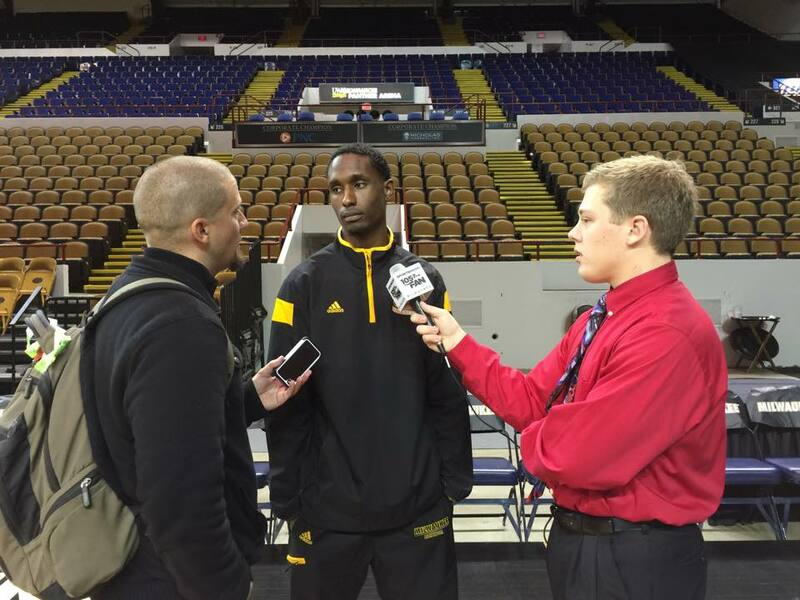 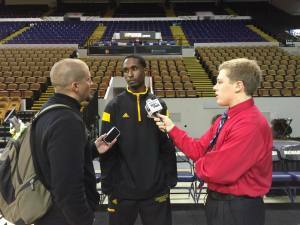 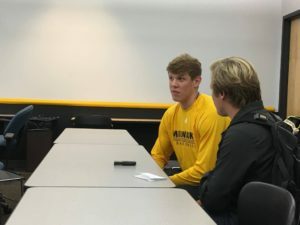 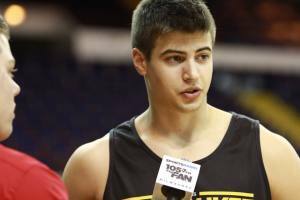 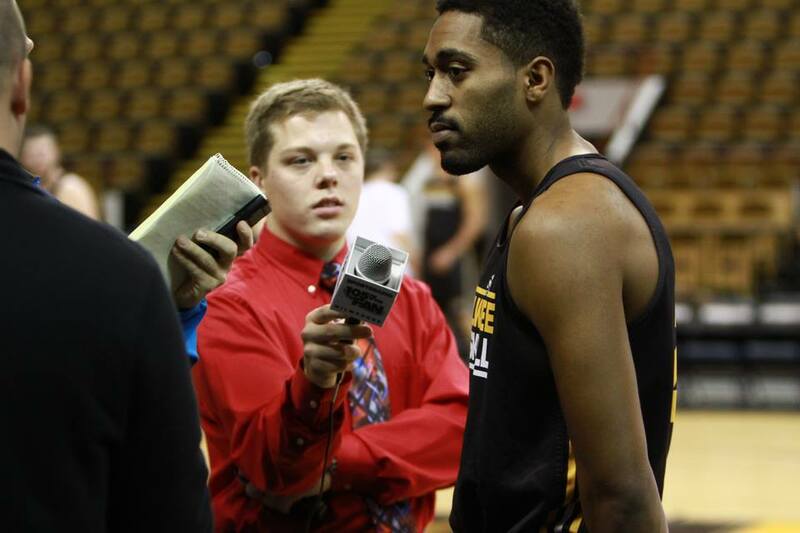 Interviewing Milwaukee Panthers freshman Zac Saddler prior to the start of the 2016-17 men’s basketball season. 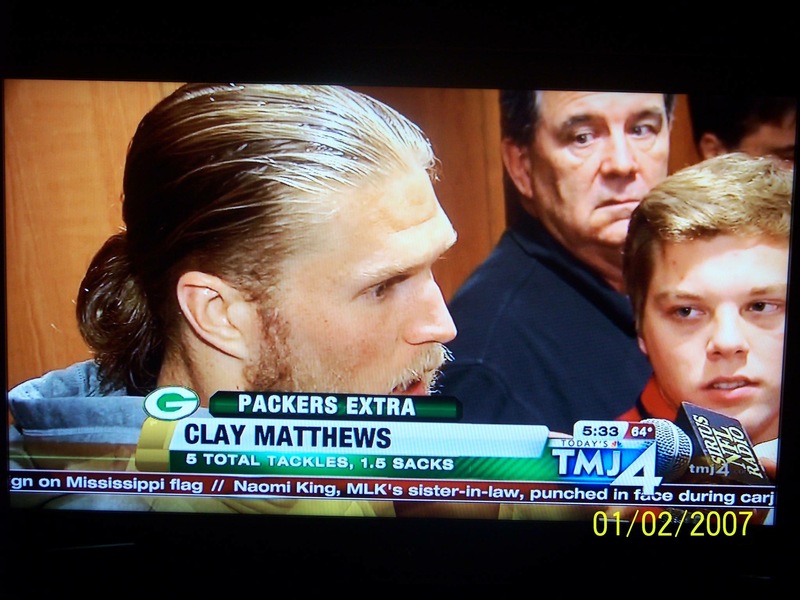 Green Bay Packers linebacker Clay Matthews and I, along with other media members, after their 24-10 victory over St. Louis on Oct. 11, 2015. 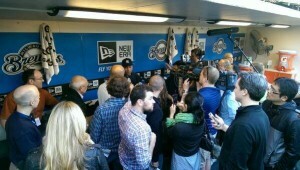 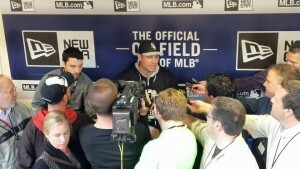 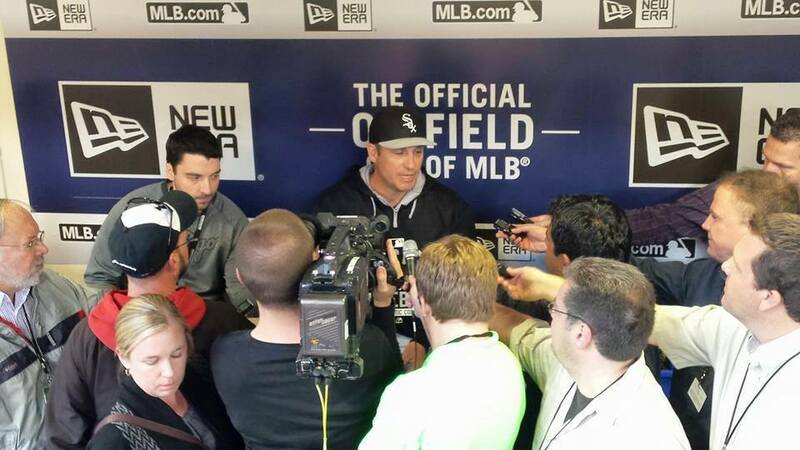 White Sox manager Robin Ventura and I, along with other media members, prior to their game against the Milwaukee Brewers on May 12, 2015. 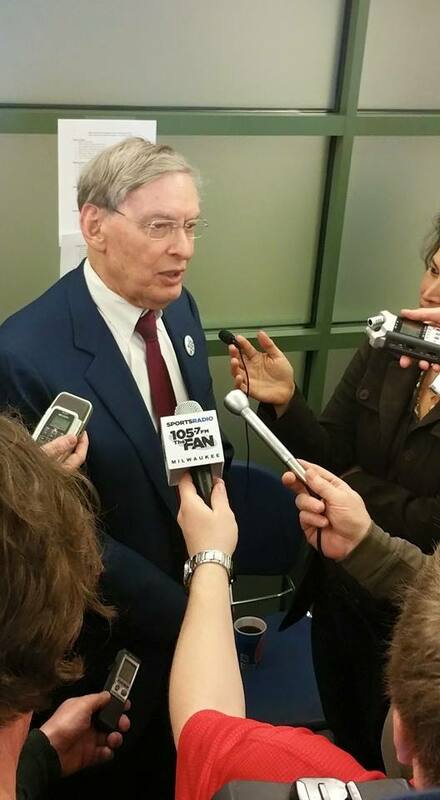 Former MLB Commissioner Bud Selig and I, along with other media members, on Milwaukee Brewers’ Opening Day (April 6, 2015). 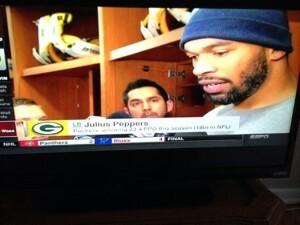 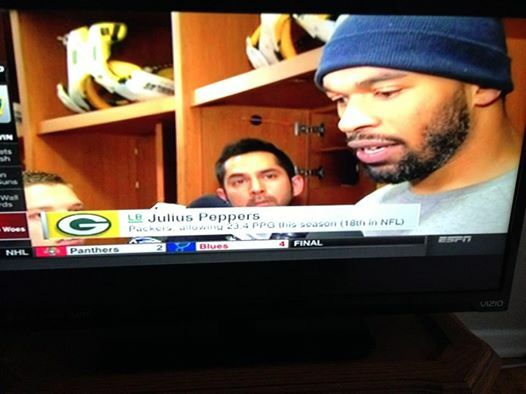 Green Bay Packers linebacker Julius Peppers and I, along with other media members, following their victory over Atlanta on Dec. 8, 2014. 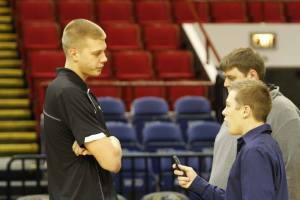 Milwaukee Panthers men’s head basketball coach Rob Jeter and I, along with other media members, following their exhibition victory against Platteville. 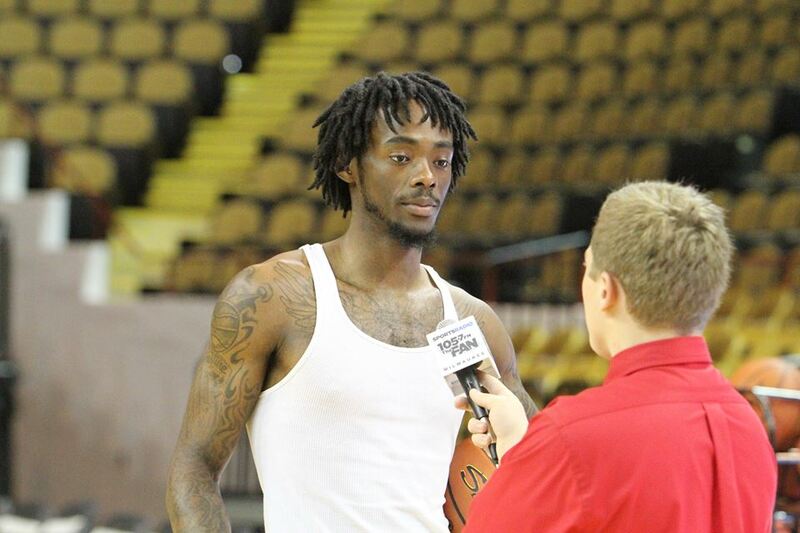 Milwaukee Panthers men’s basketball guard Akeem Springs and I at 2014 Panther Media Day. 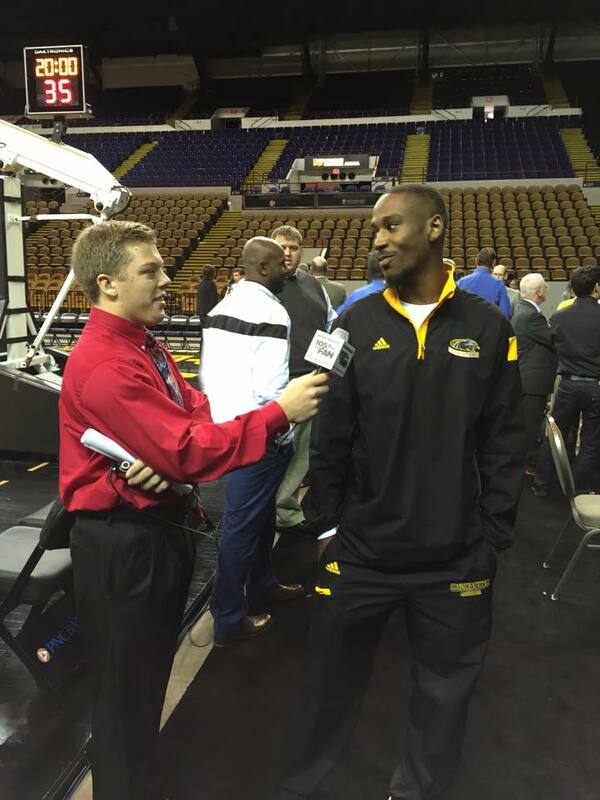 Milwaukee Panthers men’s basketball forward Trinson White and I at 2014 Panther Media Day. 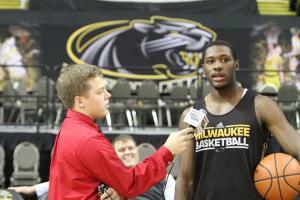 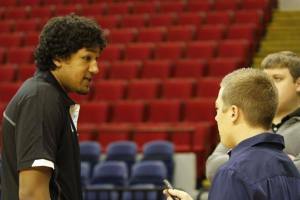 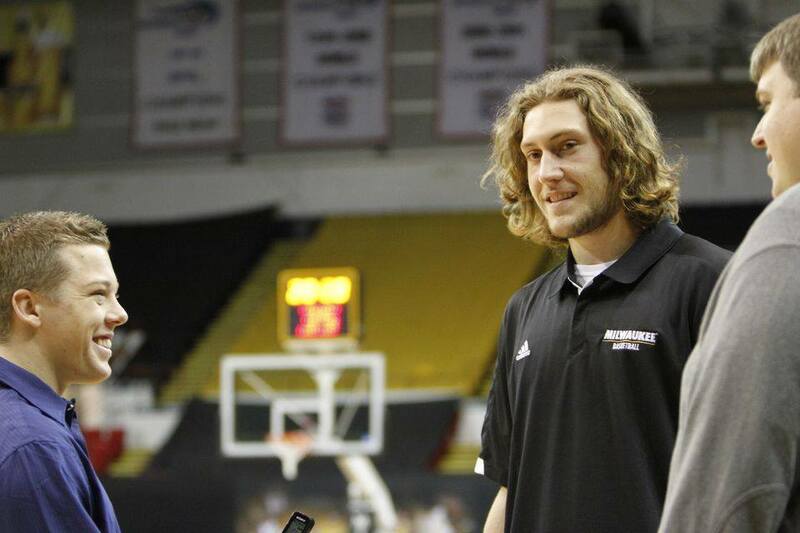 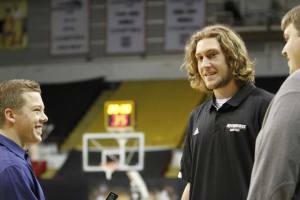 Milwaukee Panthers men’s basketball forward J.J. Panoske and I at 2014 Panther Media Day. Milwaukee Panthers men’s basketball guard Justin Jordan and I at 2014 Panther Media Day. 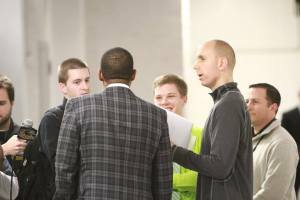 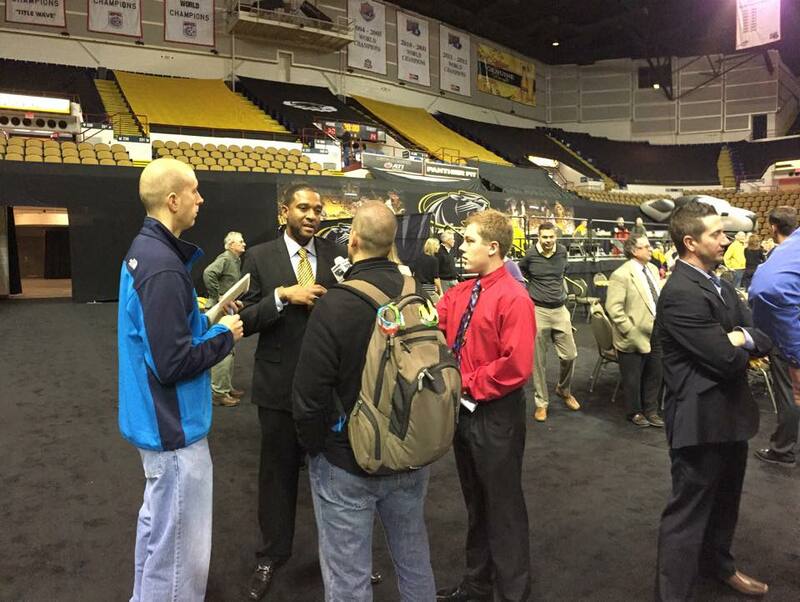 Milwaukee Panthers men’s head basketball coach Rob Jeter and I, along with other media members, at 2014 Panther Media Day. 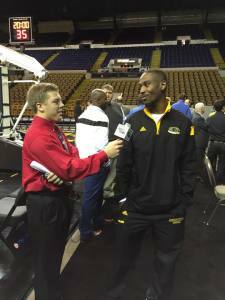 Milwaukee Panthers men’s basketball guard JeVon Lyle and I at 2014 Panther Media Day. 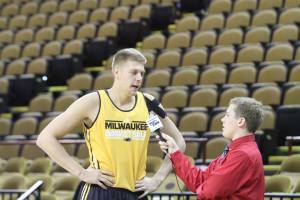 Milwaukee Panthers men’s basketball guard Brock Stull and I at 2014 Panther Media Day. Milwaukee Panthers men’s basketball guard Steve McWhorter and I, along with other media members, at 2014 Panther Media Day. 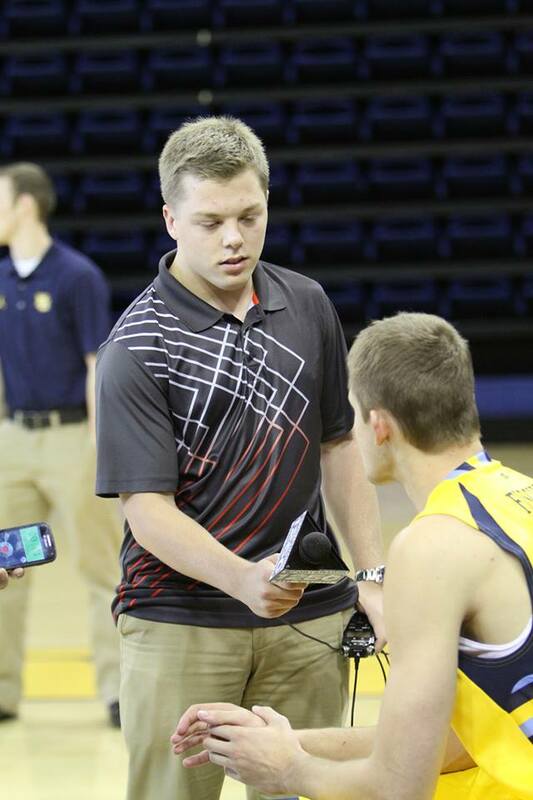 Marquette men’s basketball center Luke Fischer and I at 2014 Golden Eagles Media Day. New York Yankees captain Derek Jeter and I, along with other media members, prior to their game against the Milwaukee Brewers on May 9, 2014. 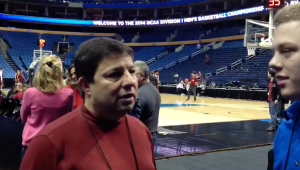 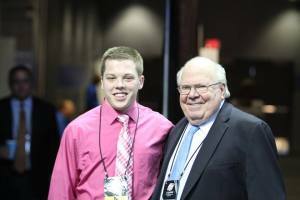 Legendary CBS broadcaster Verne Lundquist and I after an interview at the 2014 NCAA Tournament in Buffalo, N.Y.
ESPN Bracketologist Joe Lunardi and I at the 2014 NCAA Tournament in Buffalo, N.Y.
Milwaukee Panthers men’s basketball forward Malcolm Moore and I at 2013 Panther Media Day. 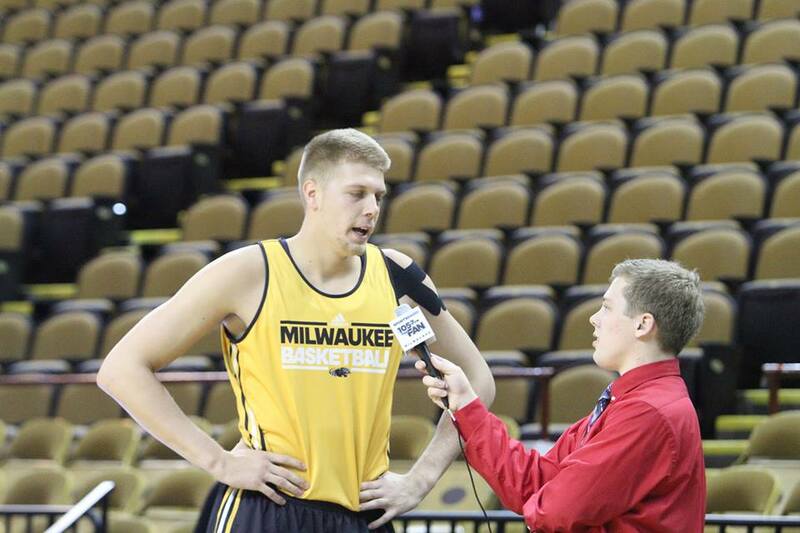 Milwaukee Panthers men’s basketball forward Austin Arians and I at 2013 Panther Media Day. Milwaukee Panthers men’s basketball forward Matt Tiby and I at 2013 Panther Media Day. 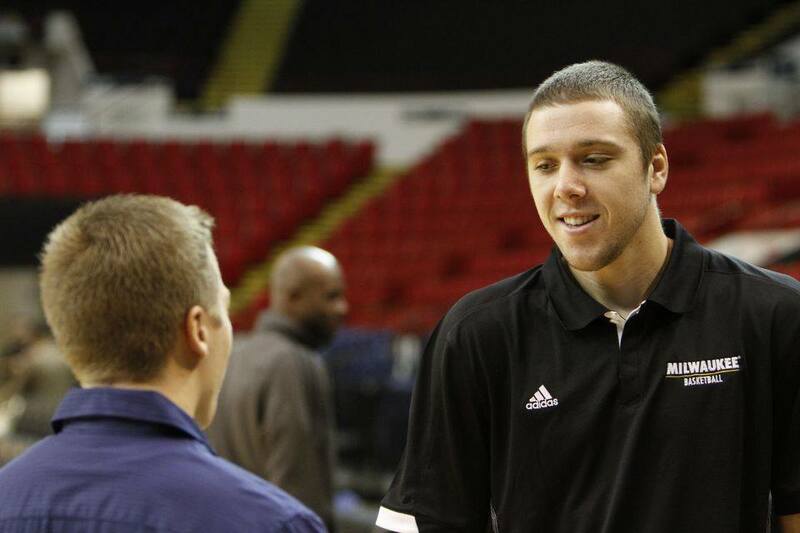 Milwaukee Panthers men’s basketball forward J.J. Panoske and I at 2013 Panther Media Day. Milwaukee Panthers midfielder and All-American Laurie Bell and I following a match in 2013. 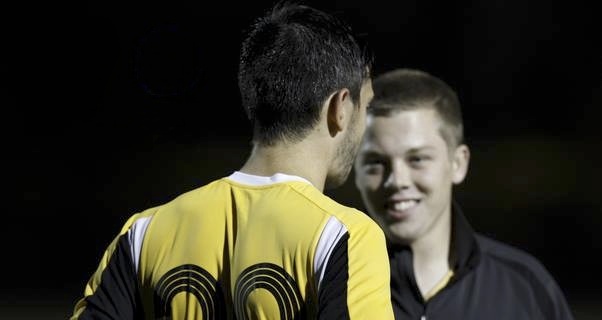 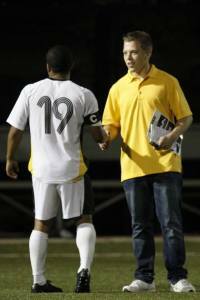 Milwaukee Panthers men’s soccer forward Robbie Boyd and I following a match in 2013.